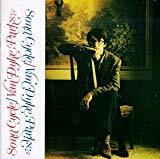 Van Dyke Parks was born on on January 3, 1943, in Hattiesburg, Mississippi. Parks attended the American Boychoir School and studied music at the Carnegie Institute of Technology. After graduating in 1963, Parks moved to California and did session work including playing on the soundtracks for Disney movies. Parks also played studio sessions for the Byrds and the Grateful Dead. He met Brian Wilson and the two collaborated on Smile, Wilson's attempt at the "ultimate pop album." Park's own album, Song Cycle, released in 1968, was a critical, but not commercial, success. Parks continues releasing solo albums, working on film and television scores, and writing a series of children's books.